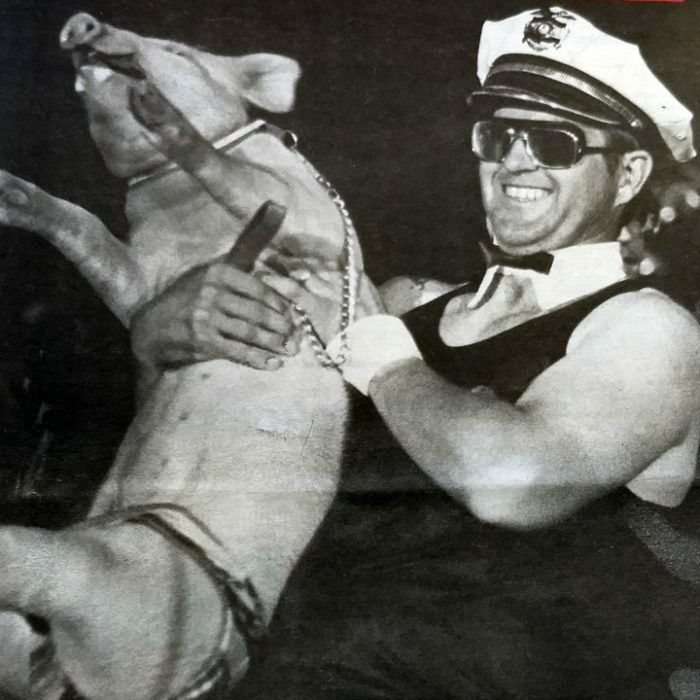 Then-Police Chief Fred Williams went all in on the "pig" association in the 1988 talent show. In other news… Striking miners and Mid-Continent Coal and Coak reached a contract agreement. In other news… Police Chief Fred Williams and other local law enforcement officers were preparing for a 275 mile Special Olympics torch run from Utah to Denver. Roaring Fork High School senior Dana Boyle came in first in three events and broke two state records at the class 3A state track meet. The path to the podium included some hard choices, with soccer and track jockeying for her talents and a series of coincidences like college entry exams and the cross country final falling on the same day. Her biggest fan was her little sister, Samantha, who Dana said she’d hope to see breaking her records someday. In other news… A 6×8 foot stained glass mural of school supplies by Shannon Muse, students and faculty was unveiled at Carbondale Middle School (and has since been moved to the new location). In other news… Carbondalian Barry Maggert was remembered as an all-around good guy after his death in a small plane crash near Black Hawk.